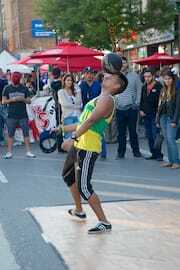 The Taste of Little Italy ran from Friday, June 13 to Sunday, June 15 this year. Michelle and I went on the Saturday, the same day that Italy was playing against England for the World Cup Finals. We arrived at College & Bathurst at around 7:30pm , with about 15 minutes left in the game. There were a lot of people inside the establishments watching the soccer game, and there were a lot of TVs set up outdoors along the streets too. 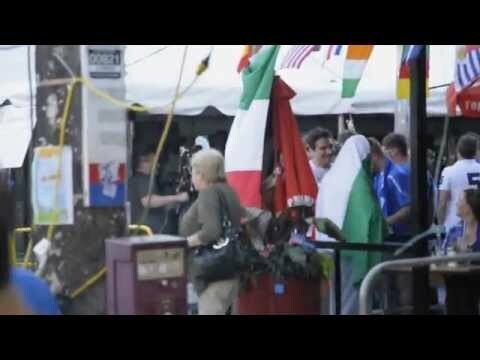 When the game ended with Italy winning 2 to 1 against England, the streets quickly got loud with people celebrating the win, as you can see in the beginning of the video. Being there was a lot of fun! Once people started coming out of the bars and restaurants, the streets got so packed that you couldn’t even walk (which you can see not only in the photos, but in the video too). We were at a standstill with the streets so full of people and no one able to move for about fifteen minutes! 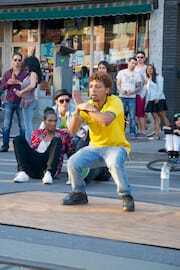 And later, once we had decided to start heading back home, we saw this Latin band playing Brazilian music on the street and you could tell that people just couldn’t get enough. They had quite a large crowd of people from all walks of life, and everyone was just having a great time dancing together on the street! I love Toronto so much! 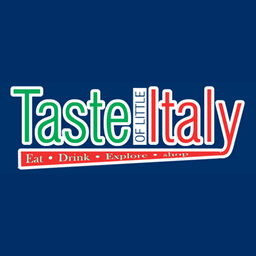 Taste of Little Italy 2014 was published on Thursday, June 26, 2014 at 5:01pm EDT by Daniel Menjívar and last updated on April 11, 2018 at 9:30pm UTC .